In order to have a successful website, it is very important to possess all the different and important factors for web promotion, and a sitemap is one of them. If you decide to take your website to the next level it is imperative to include a sitemap in it. By now you may be wondering, what is a sitemap? 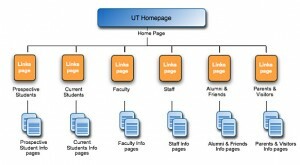 The answer is quite simple, a sitemap is an aid which is used for accomplishing an easier navigation of a given site. Inside it you will find the whole structure of a website and also the most important links and sections that it has, basically it will ensure that your visitors will know exactly where to go when looking for certain information within your site, otherwise they might get bored and try with the next similar website. But the main reason why a sitemap is so important for your website is because it will help you raise your ranking within search engines, and that means, more visitors, more exposure and overall, a higher Internet success. There are different types of sitemaps: there is the Google sitemap, the simple .html sitemap, the .txt sitemaps, and others which are mainly used by search engines to locate your site and to help you visitors during their surfing. First of all let us discuss the Google sitemap, if you have a Google sitemap your site will be benefited in many ways, first of all, the speed in which your website and its sections are added to the Google index will significantly increase. Also, Google will be quickly aware of any changes or updates that you do on your site. There is also the very convenient fact that your website will be listed in Google and many people will find it without any problem, but more importantly, with a Google sitemap you will be capable of providing your visitors with fresh new content and all the information they require within your site in a matter of minutes. In order to create a Google sitemap you will need to code it in a programming language known as Extensible Markup Language, otherwise referred as XML; the process is tedious and it can be quite time-consuming, especially if your website contains hundreds of sections. The fact that sitemaps are so difficult to code is the reason why many people have opted for another option, using a sitemap generator. A sitemap generator is a simple program that will let you create your own personalized sitemap in a matter of minutes. If you are ready to create a sitemap, possibly the easiest option for you is to start with a simple .html sitemap, these popular sitemaps which have been used for years will help your visitors find their way around your site. To create a simple .html sitemap is easy, just do a new page and put in it links to all the other pages of your site. Having a simple .html sitemap will not only help your visitors, but it is also extremely helpful for search engines’ spiders when trying to locate specific content within your site. If you want to create a simple .txt sitemap just type a list of the different URLs available in your website, save them in a text file and you will be then capable of submitting the list to the search engines.